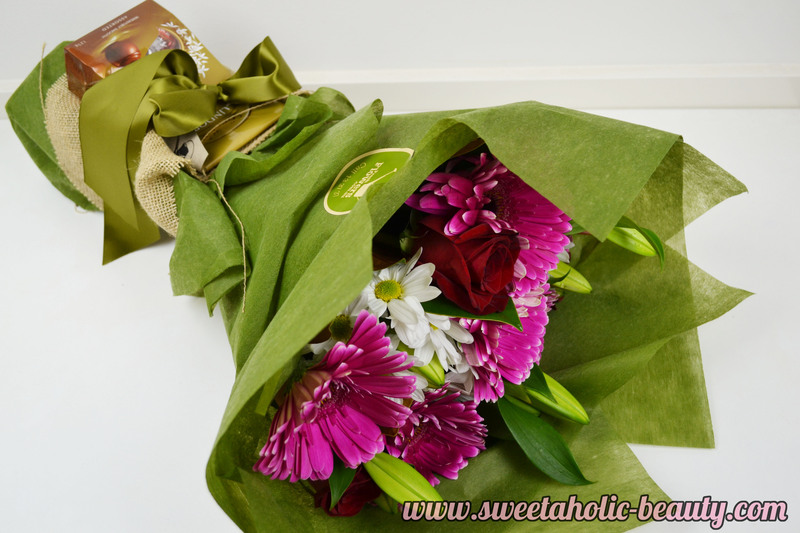 A little while ago, I was approached by Sydney based florist FreshFlowers.com.au who offered me a beautiful bouquet to feature here on Sweetaholic Beauty. Everyone knows that fresh flowers are a beauty blogger's best friend, so I couldn't resist. Once I checked out their website, I was pleasantly surprised that they offered same-day delivery to most major cities in Australia. As I was ordered before the weekday cut off of 2pm, I received my beautiful bouquet on the same day. I had my pick of the bunch - literally - so I decided on the Florist Pick bouquet. This one is inspired by the seasons best flowers. This obviously changes as to what's in season, so it's a bit of a surprise. I adore how it arrived. It was wrapped up in a beautiful green wrap, with a hessian overlay. I also received a free pack of chocolates, wrapped up in a luxe ribbon. This was such a lovely touch, and I've noticed that FreshFlowers often have promotions to include little extras when you order. The flowers themselves looked stunning when I received them. They were big and bright and beautiful. They looked amazingly fresh, too - nothing like you'd see in supermarkets. The bouquet is fairly large too, more than I was expecting for the price. The inside was also wrapped in heavy paper drenched wet, to keep the flowers fresh and watered. This was especially important to me, as the order actually arrived before I got home from work, which meant my flowers may have dried out while they were waiting for me. Even though I wasn't at home, they were left lovingly at my doorstep, out of the sun. I really appreciated that, as I could tell the delivery person took extra care in where they left it. 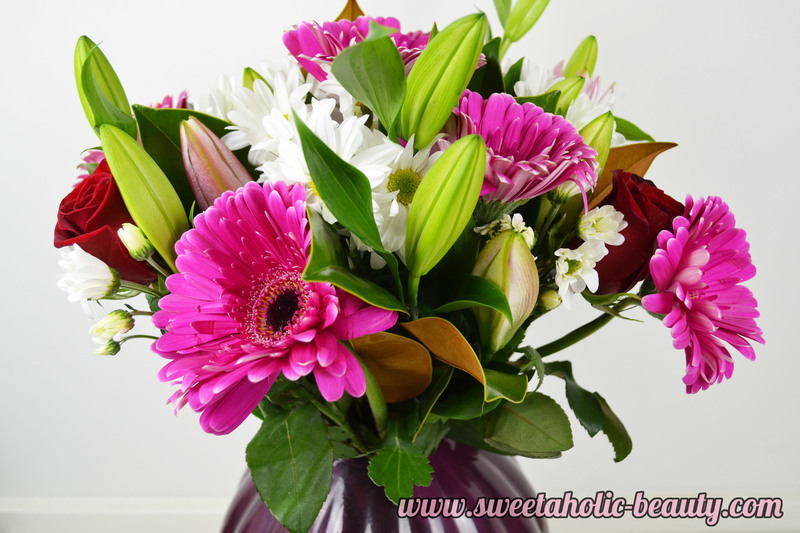 I was delighted with the range of flowers that were included in this bouquet. There's a fantastic mix of different flowers, and they looked absolutely beautiful altogether. They also had a very fresh scent, which was lovely. As you can probably see from the above photo, some of the fresher flowers have yet to bloom. Over the last few days I've watched them bloom and transform my bouquet into something completely different, but just as beautiful. It also means that as other flowers begin to wilt, they are being replaced by the new blooms, giving my bouquet new life. One of my favourite parts of the service - the little care tips card. This is such a great addition, as not everyone knows how to look after flowers. 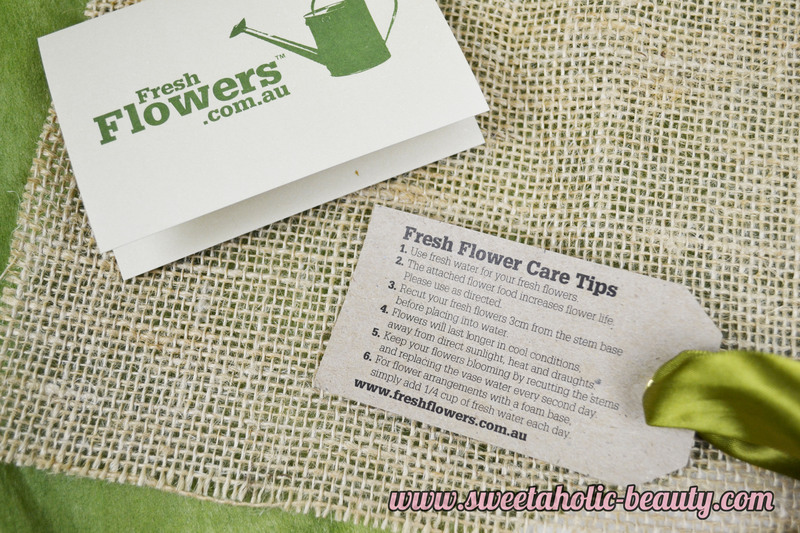 It also included a few flower food sachets, which is always handy. The adorable card was also included, and gave you the opportunity to type in a personalised message. This was included in the original price, and not charged as an extra, which I thought was fantastic. I am incredibly impressed with the service from FreshFlowers. 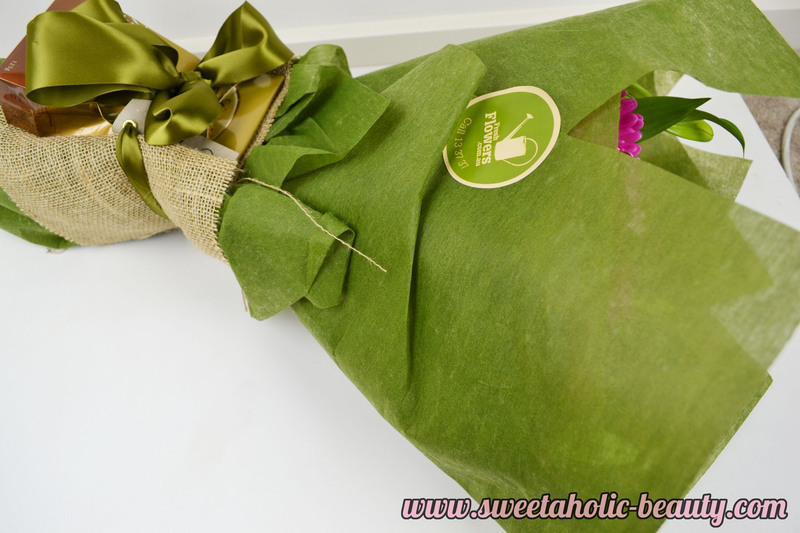 The bouquet was beautifully presented, professionally wrapped and delivered in a courteous manner. This is definitely a service I will be using in future for birthdays and other special occasions. 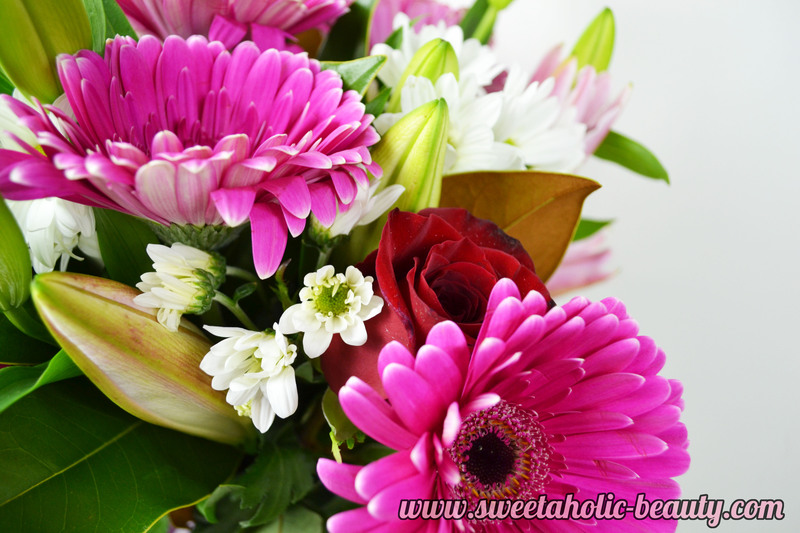 The bouquet I chose was $49.95, and I would not hesitate to pay this again for such a beautiful bouquet. I found that there was a lot of value for money in the service. I'm delighted with these flowers. The Florist Pick Bouquet has really brightened up my kitchen. I received these flowers over a week ago, and they are still as fresh as they day I received them. Usually when I buy cheaper flowers, they wilt within a few days, so I'm really happy with this bouquet! Do you adore flowers as much as I do? What's your favourite flower? 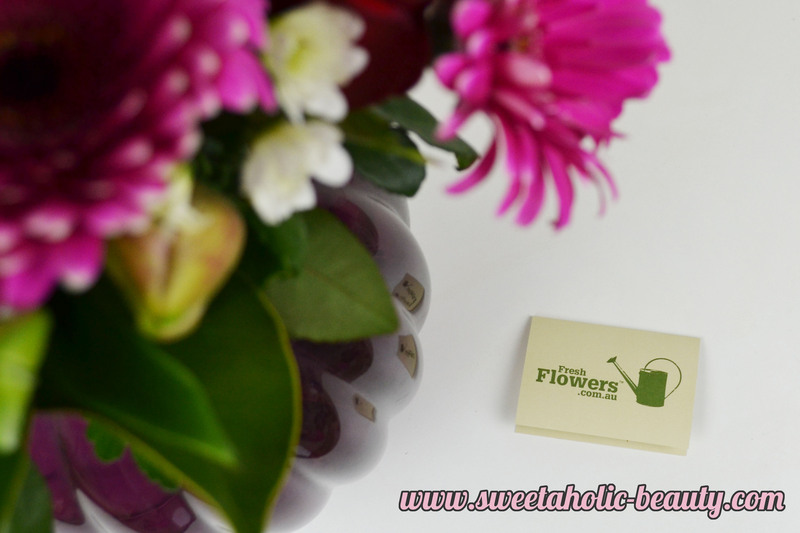 Have you ever ordered from FreshFlowers before? If so, what have your experiences been? 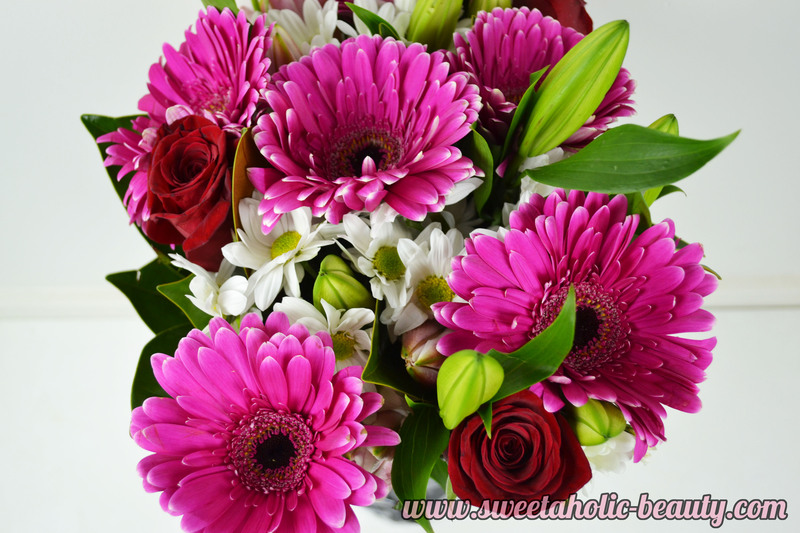 You can check out the beautiful bouquets on the FreshFlowers website, they also deliver flowers to Melbourne and other major cities. This bouquet was kindly provided for my consideration. That's a beautiful bouquet! I know nothing about flowers but I love buying them for myself to decorate the apartment. I like going to the local markets or going to the local florists. How very stunning! This is a nice change from the usual (not that the usual needs a change!). Sometimes, you just need to stop and smell the flowers! Such beautiful colors to brighten up this gloomy melbourne weather! This is such a beautiful bouquet of flowers! Sounds like a great company and speedy delivery.